Ships FedEx Ground with an average 3 day transit time. Taught net is staked into the ground creating a rebounder. Not only will the Backstop Net stop balls, it'll rebound them back into play for you! 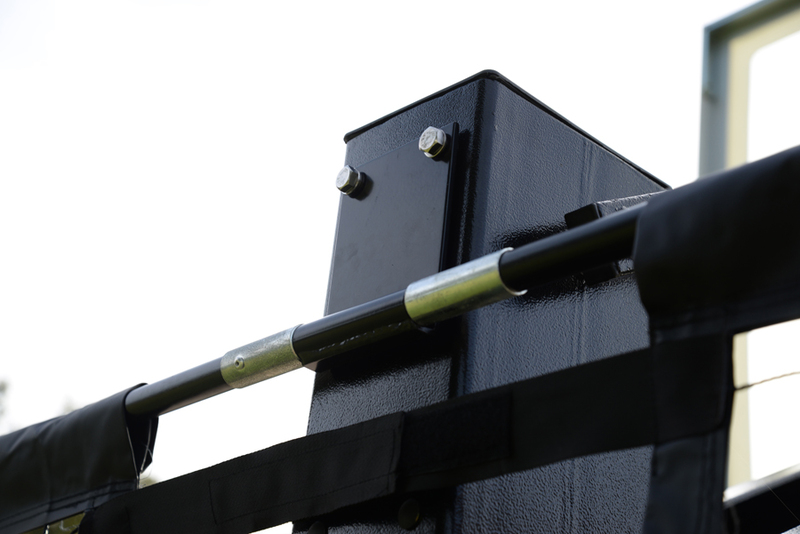 Simply bolts onto predilled threaded holes on any Pro Dunk system ordered after 9/1/2014. Don't worry about clunkey "U" brackets that don't look good and damage the finish causing corrosion issues. 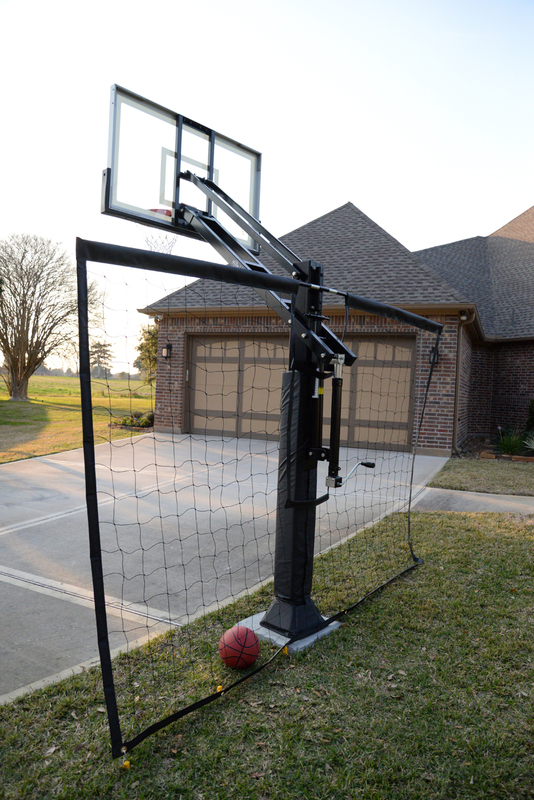 Custom fitted net is over 10.5 feet wide and 7 feet tall catching a vast majority of missed shots and errant passes. How do I make sure my system is compatible with the Backstop Net? Can I remove the Backstop Net when we're not playing? Yes. The fiberglass arms simply screw into the backet mounted into the Accessroy Ready holes allowing you to remove the net in about 10 minutes. Can I use the Goal Light and Backstop Net together?